Bali Shopping Tour is a Bali Half Day Tour Packages to visiting balinese traditional art shop. Our professional Tours Driver leads your Bali Shopping Tour and guides you to the right places of art shop and offers the wide information about all art shop including your questions. 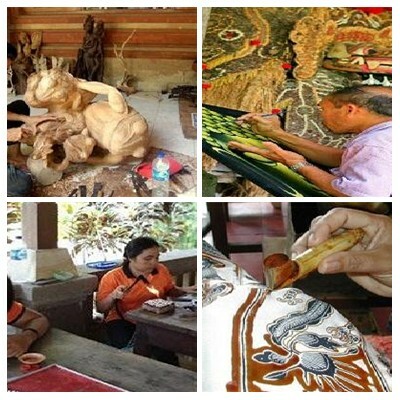 Bali Shopping Tour will visit places of interest such as Tohpati Village for batik textile art, Celuk Village for gold and silver art, Batuan Village for beautiful painting art and Mas Village for amazing wood carving art. Our comfortable car with fully air-conditioning is featuring this Bali Shopping Tour to keep your tour more enjoyable while our Bali Tours Driver is always fully care of your safety and ensure your Bali Shopping Tour is memorable one. Below is short description places of interest will be visit during Bali Shopping Tour. 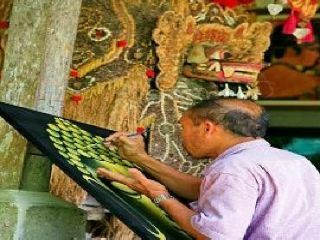 Tohpati Village famous for Bali’s Batik Wand Weaving Center, Batik is a traditional form of painting fabric. Is perpect place to stop for having Bali Shopping Tour in this village. 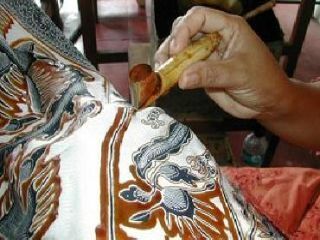 They painstakingly use dots and lines from wax to decorate the cloth. It is very impressive to watch. On your first visit to a batik home industry, you will undoubtedly Shopping experience an overwhelming stimulation of the senses – due to the many colors, patterns and the actual smell of batik. Only through repeated visits and a bit of study will the types of designs and their origins become apparent. Is the famous village in Bali as a tourist destination for the gold and silver crafting. In the past, the dwellers of Celuk Village were mostly farmers. Rumors have it that there were only three families who belonged to the caste of Pande that pioneered this industry. This caste is well-known for their specialty in manipulating all kinds of metals to create accessories for Hindu’s prayers. As tourism was becoming main commodity in Bali, more and more villagers left their farm behind and began to learn to craft silver and gold. Specifically, in 1976, almost all of the villagers had become silver smiths and Celuk Village has been popular for Bali Shopping Tour with its beautiful jewelry and other silver handicrafts since then. 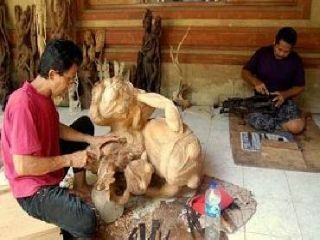 Is one of villages in Bali fundamentally identified as an artistic countryside by focusing in artistic of wood carving. We will visit this village during Bali Shopping Tour. Mas Village is located in Ubud sub district and Gianyar Regency, east part of Bali. It owns the typical style of wood carving art by placing forward the distinguish synergy the humanism and naturalism. This Artistic countryside owns the long history root. The result of wood carving art in this village owns the immeasurable and wide dimension like idol for the devoting (arca idol), representative dimension of everyday Balinese social society life.